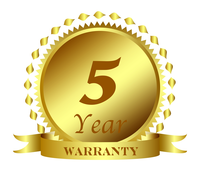 LIMITED WARRANTY POLICY STATEMENT Greenwater Marine Exhaust, LLC. warrants their stainless steel exhaust products for 5 years from date of purchase for personal use and 1 year from date of purchase for professional use against any defects in materials and workmanship. Greenwater Marine Exhaust, LLC shall not be liable for any cost of removal or installation and this warranty shall not apply if the product has been misused, abused, altered, subject to electrolysis or galvanic action, improperly installed or maintained. Warranty void in racing or military applications. This warranty shall not extent to, and purchaser expressly waives any liability for any incidental or consequential loss resulting from the use of any Greenwater Marine Exhaust, LLC product. Purchaser further waives any and all implied warranties including the implied warranties of merchantability and fitness for purpose. Greenwater Marine Exhaust, LLC will at its option repair or replace the product which in the judgement of Greenwater Marine Exhaust, LLC has a defect, provided that the written notice of such defect is received by Greenwater Marine Exhaust, LLC within 5 years from date of shipment for personal use and 1 year from date of shipment for professional use to the original buyer. The buyers sole and exclusive remedy and the limit of Greenwater Marine Exhaust, LLC liability for any loss whatsoever shall not exceed the purchase price paid by the buyer for the product to which the claim is made. Greenwater Marine Exhaust, LLC reserves the right to improve its products through changes in design or materials without the obligation to incorporate such changes in products of prior manufacture and to make changes at any time in design or materials without obligation or liability to the owners of products of prior manufacture. Greenwater Marine Exhaust, LLC warrants their insulating blankets to be free from defects in materials and workmanship. The buyer must notify Greenwater Marine Exhaust, LLC if a defect is detected prior to installation. Installation constitutes acceptance and assumption of liability by the buyer.